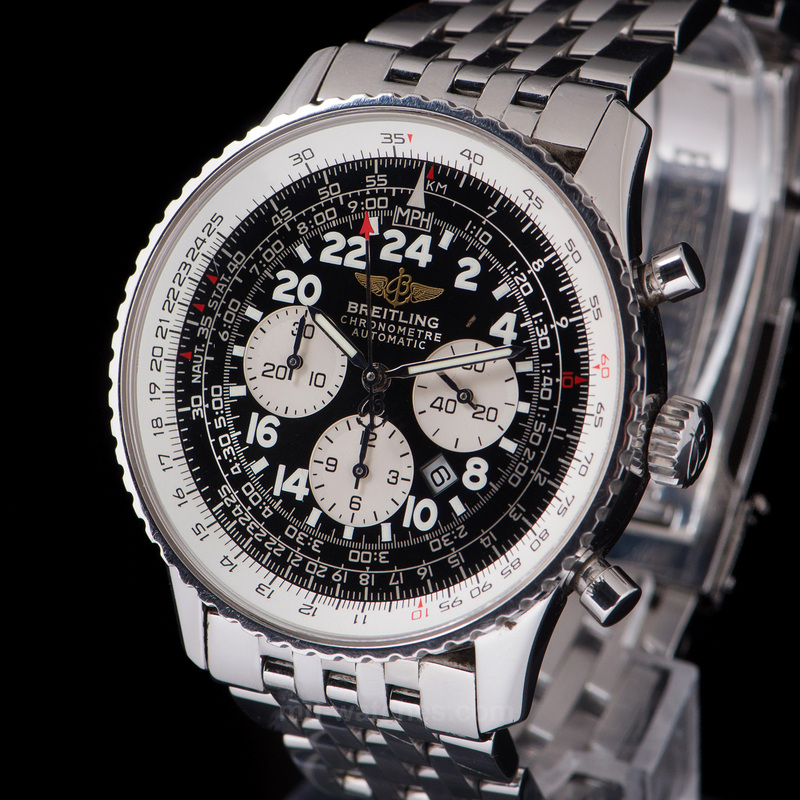 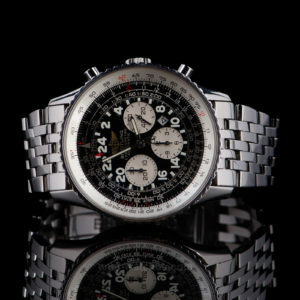 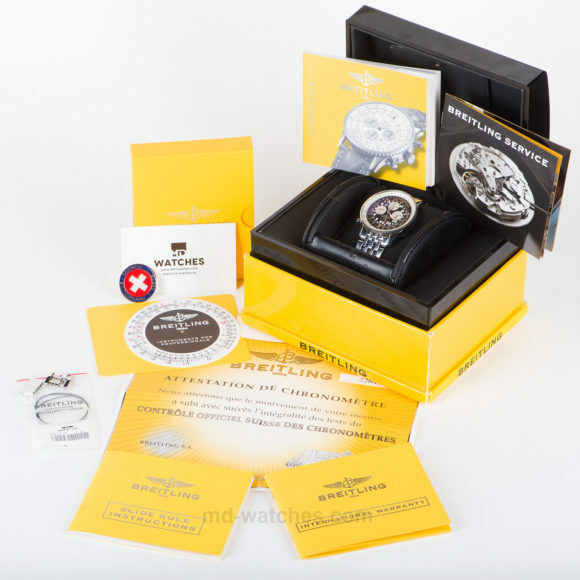 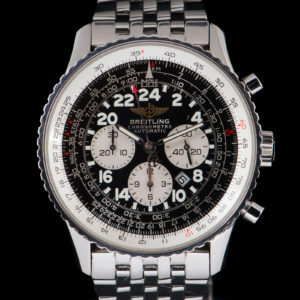 Breitling has made a few 24 hour dial watches and Navitimer Cosmonaute is one of them. This watch display time in the 24 hour format versus the 12 hour format that we are mostly used to. 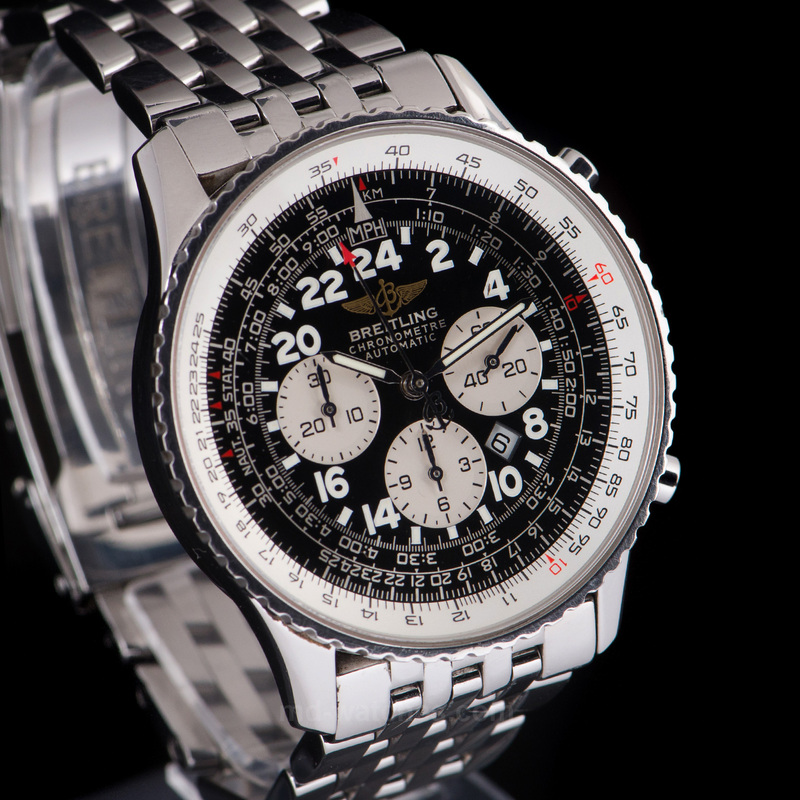 24 hour analog dial watches are much less common. 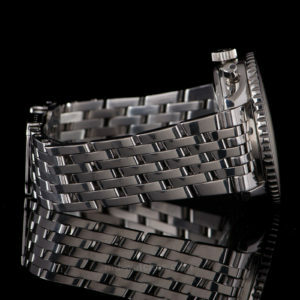 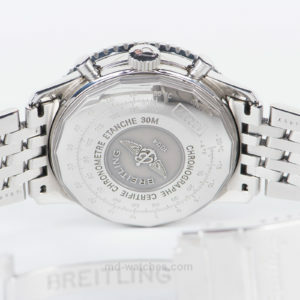 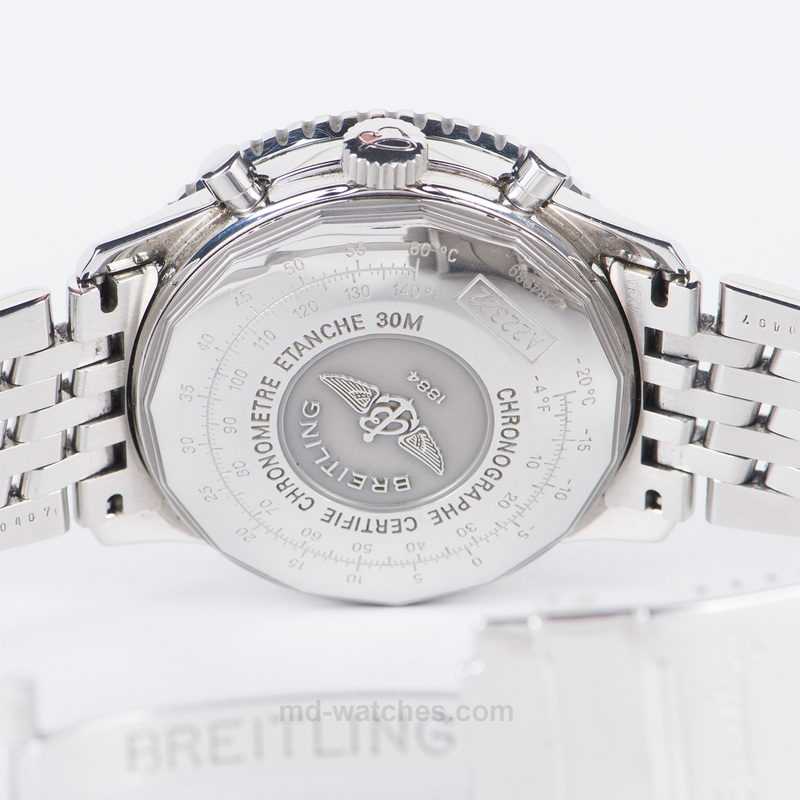 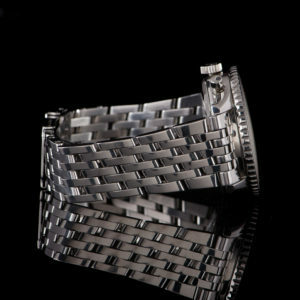 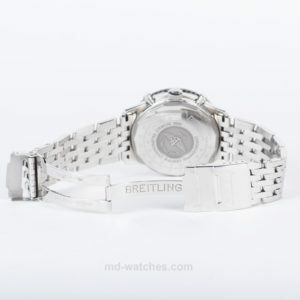 The watch itself is 41.5mm wide in steel and has a specially engraved caseback. 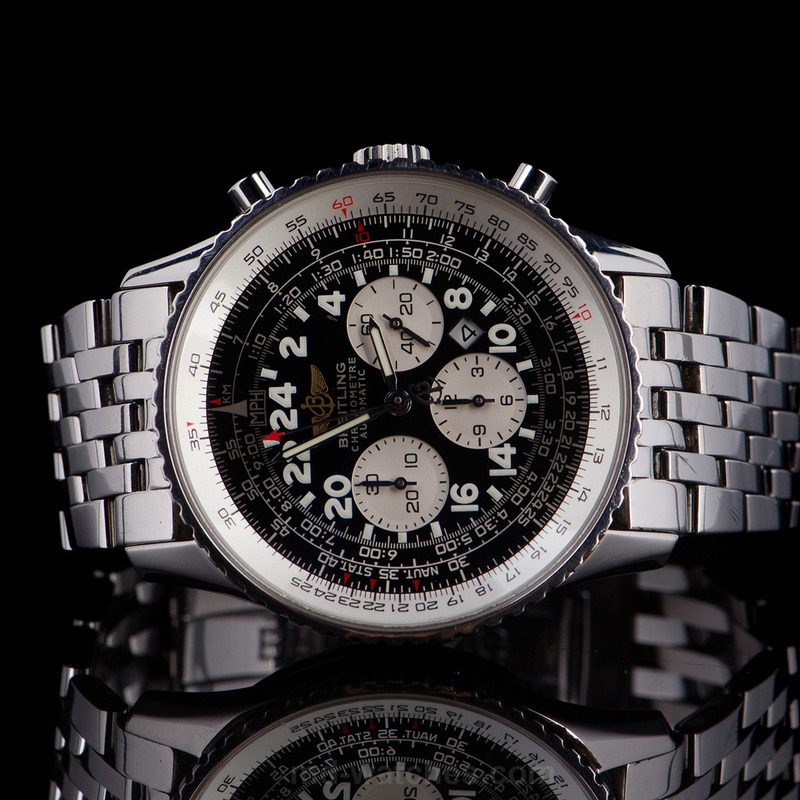 The recent comparable model of Breitling Navitimer Cosmonaute in steel with automatic movement and original Breitling bracelet has a catalog price of 8,650.- Euros. Please take into consideration the compact design and the elegance this watch offers.